Induction liners, such as this one, provide both a tamper evident, and hermetic seal. Using an induction sealing machine to apply this liner an airtight seal is formed. This seal increases the shelf life of the product. After the liner is removed, it cannot be reapplied to the container. 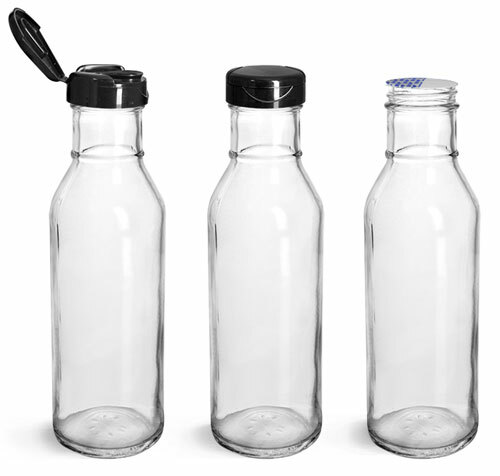 These clear glass barbecue sauce style bottles come with a drip resistant black polypropylene dispensing cap. 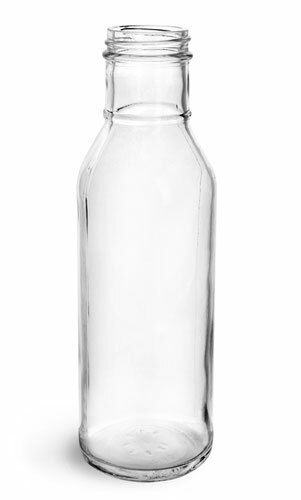 This cap features a Lift 'n' Peel liner that creates a tamper evident seal when applied properly. These bottles could be used to package sauces or salad dressings, but be sure to test your product with the container to ensure compatibility.